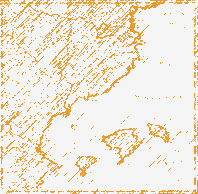 ARBAN is a global agenda of activities in the history of science, technology and medicine taking place in the Catalan-speaking area (Catalonia, the Balearic Islands and the Valencian Country). It comprises a large number of institutions and groups that are part of the CBV area in history of science, technology and medicine. The Agenda takes the name of the French aeronaut based in Barcelona, François Arban, who disappeared on 23 November 1849, after taking off in his aerostatic balloon from the Torin of the Barceloneta.